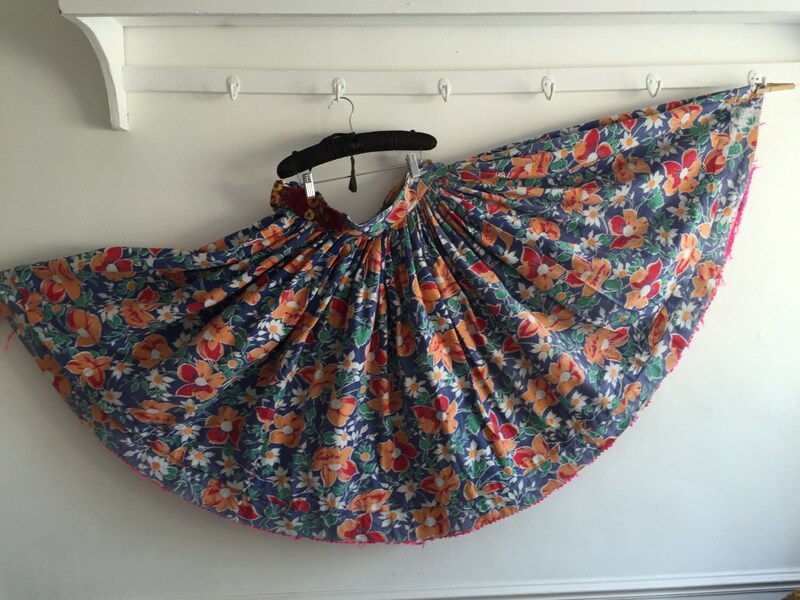 This is a vintage Hungarian skirt, which would have been worn in summer, it is a wonderfully full circle skirt, lovely for dancing in and keeping cool on summer days. 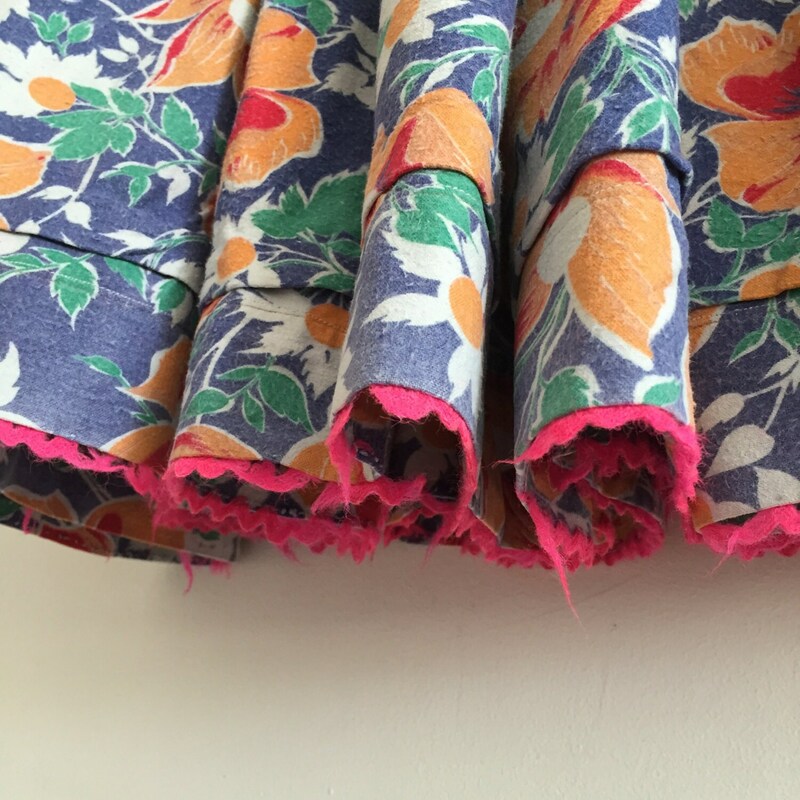 Made from cotton the fabric is blue with a orange flower and green leaf pattern. The hem has a pink felt trim, which is worn in places. The whole skirt has been stitched by hand. 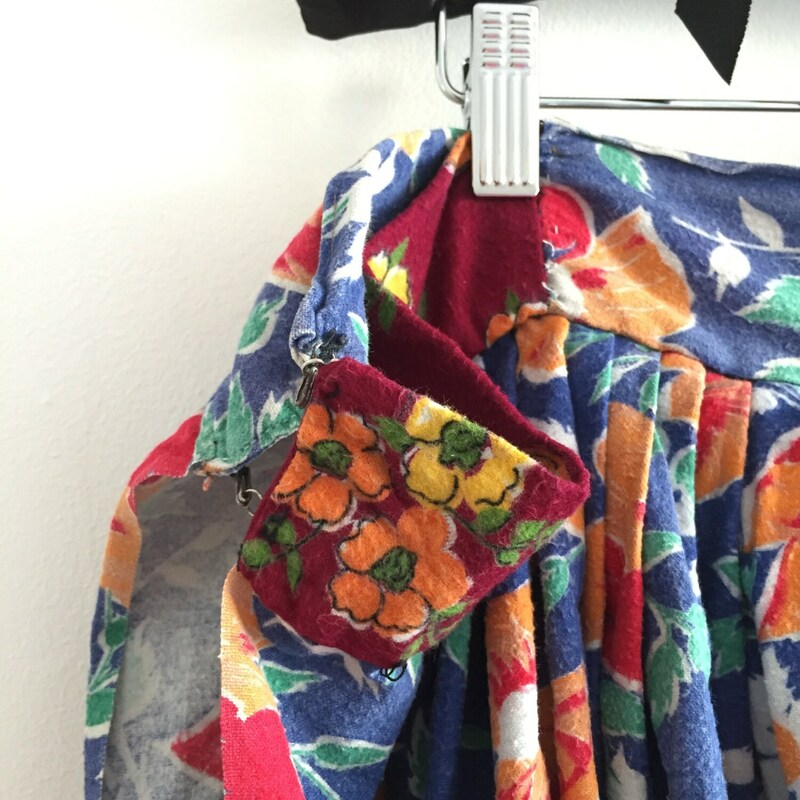 On the band there is a selection of different vintage fabrics used to line the waist. The wast is secured with hook and eyes, you could attach a ties/ribbon, as the side seam is in tradition of these skirts, is open, so the skirt can be tied to fit changing waists, so one skirt would last the owner longer. 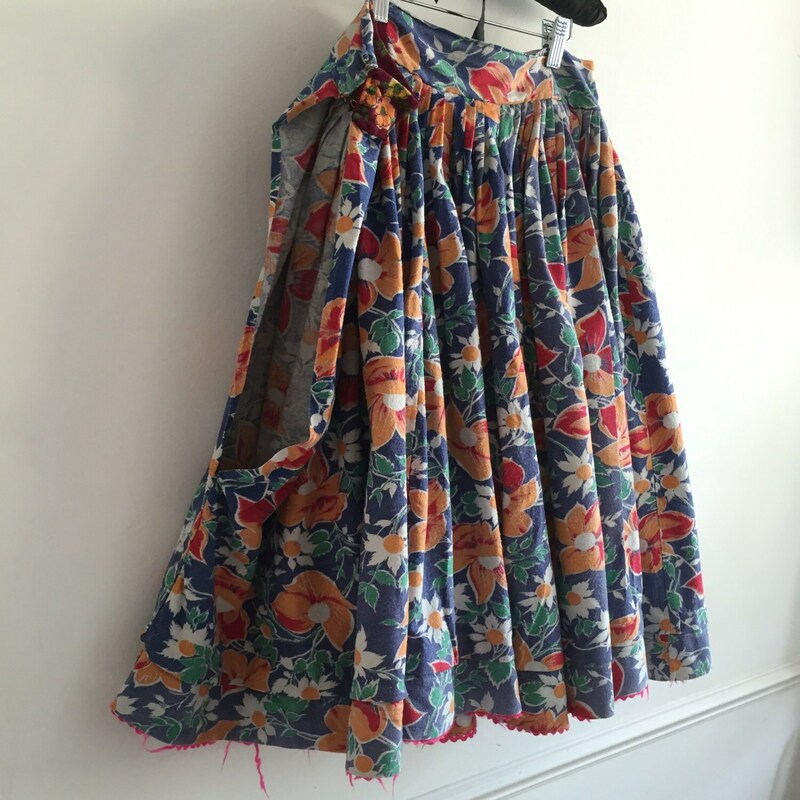 The circle skirt is made up of 6 panels each average 76cms / 29.95 inches at the widest part. 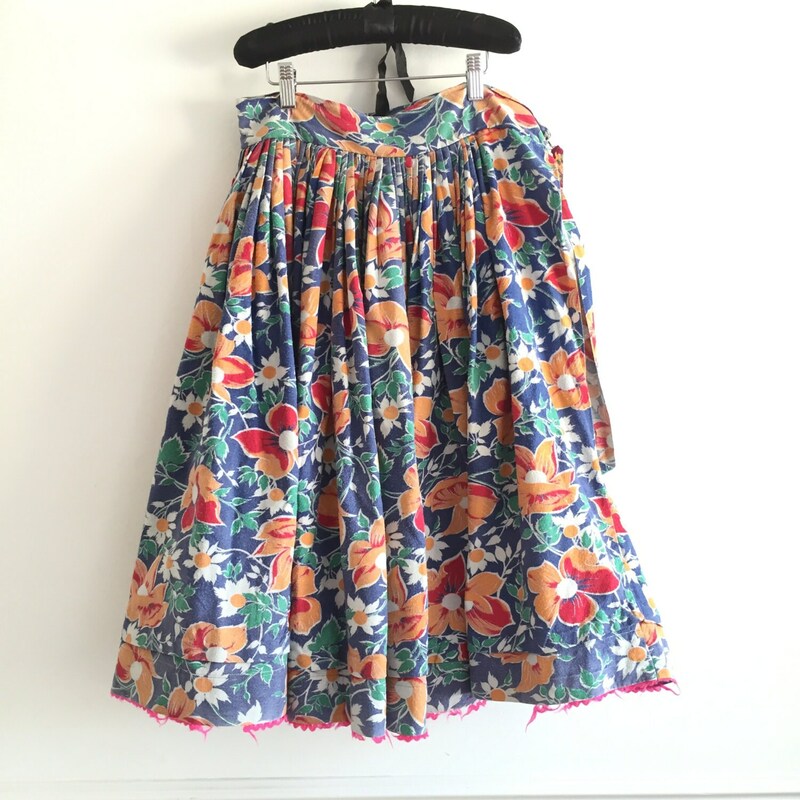 This skirt has been handstitched and is very old, in good condition, the photos act as part of the description, there maybe some patches of faded fabric or a loose thread, as this skirt has had a whole life before being listed here on Etsy. This skirt is a piece of history.